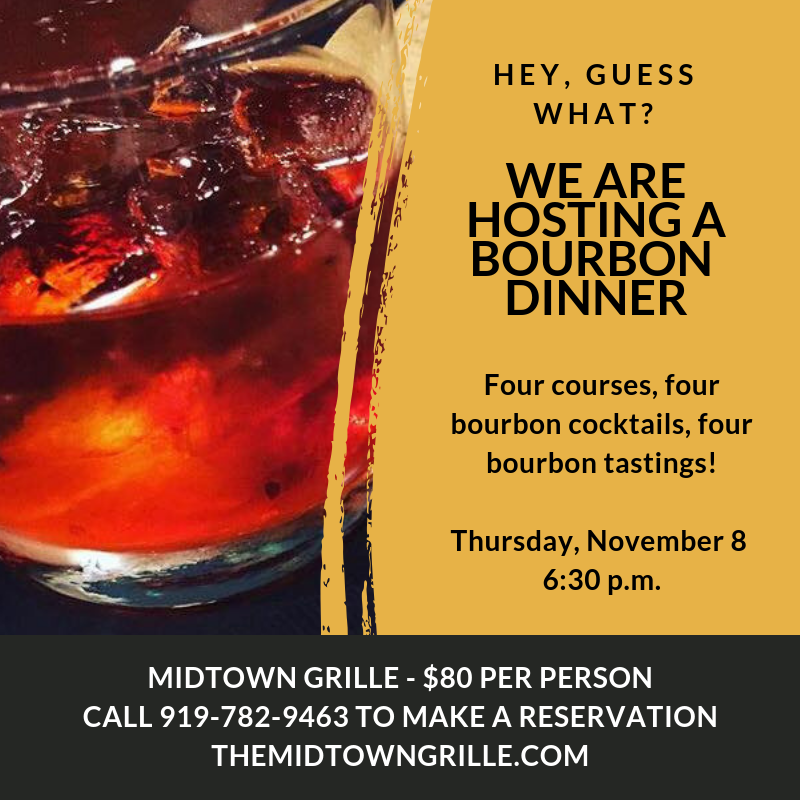 We are excited to announce that we will be hosting a bourbon dinner on Thursday, November 8, 2018, at 6:30 p.m. Chef Marshall Smith is putting together an awesome four-course menu that we will share with you soon. What makes this dinner so unique is Chef Marshall is coming up with the dishes that he thinks will pair best with the bourbons by themselves first. Then our bartenders will create cocktails that pair perfectly with each of the four dishes Marshall has chosen. 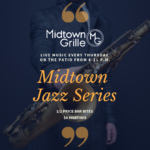 This means that not only will you get four delicious bourbon cocktails but you will also get a taste of each bourbon so you can see how they pair differently with the food. 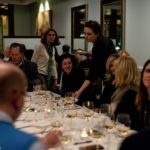 Reservations are sure to go quickly for this exclusive bourbon dinner. Dinner is $80 per person (does not include tax and gratuity). Call 919-782-9463 to reserve your seat today and be on the lookout for the menu coming soon.